Murder is Bad Manners – meet my US cover! As you may have seen, the UK edition of Murder Most Unladylike is out now – available to buy, in real bookshops, across the land! But fret not, US readers. I have not forgotten you. Your edition is on its way too, due to arrive in April 2015 – and I’m absolutely delighted to be able to finally let you know that it has a cover! It was revealed exclusively on The Midnight Garden blog on Monday and it is gorgeous. Just gorgeous. I can’t even begin to compare it to the UK edition’s cover – it would be like asking me if I preferred apples or bears – but I do want to take every opportunity to talk about how much I love it. Its colours are so glorious, and the girls are perfect. When I first saw it, in fact, I couldn’t quite believe it – I felt as though the artist, Elizabeth, had reached into my head and pulled out my exact mental images of Daisy and Hazel. The eagle-eyed among you will have noticed that the US title is different to the UK’s. Please don’t worry – this is absolutely the same book, with the same story inside it (although in the American version, Daisy and Hazel are rather fond of cookies instead of biscuits). It was just felt that this slightly different title would work better for the US market. 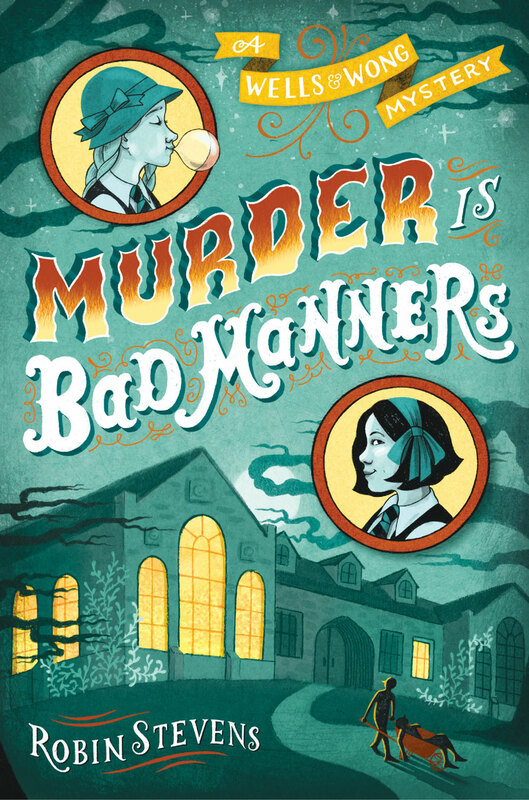 I think Murder is Bad Manners is a really fun alternative to the original – and since the word MURDER is still there, I feel that the spirit of Murder Most Unladylike has been maintained. If you love what you see (who wouldn’t?) please do click through to that Midnight Garden cover reveal blog – there’s an interview with me about what it felt like to be an American girl at an English boarding school (hint: it was WEIRD), and also a fantastic giveaway of exclusive ARCs of the US edition. Anyone based in the US or Canada can enter – so what are you waiting for? Go!